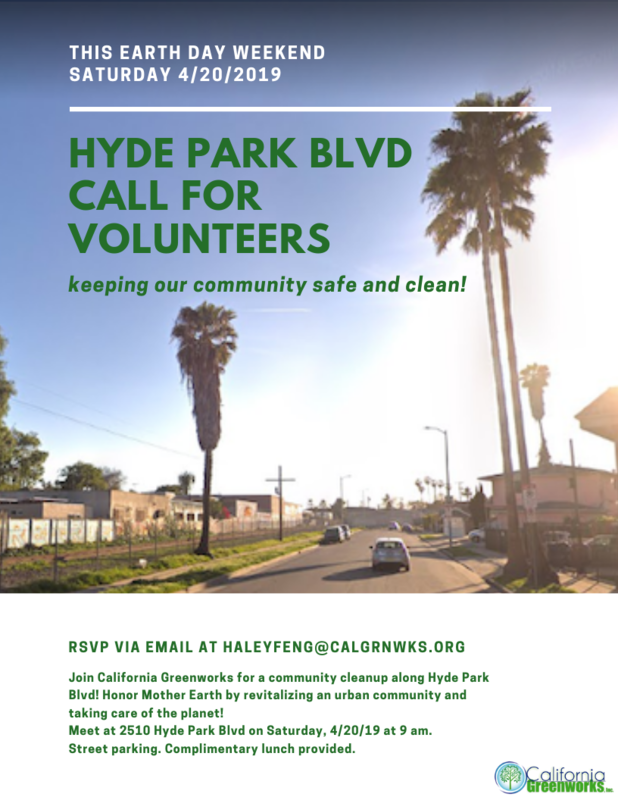 Join California Greenworks for a community clean up along Hyde Park Blvd. Honor Mother Earth by revitalizing an urban community and taking care of the planet! Meet at 2510 Hyde Park. Street parking. Lunch provided.